HAPPY TALK - A great alternative to body scanners at airports! Al Bateen Executive Airport, situated in the heart of the United Arab Emirates (UAE) capital of Abu Dhabi, has launched a major upgrade programme. 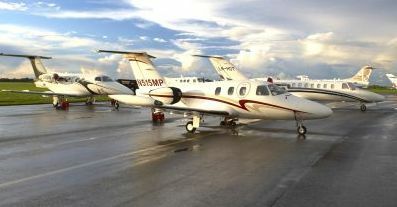 It is the only dedicated executive airport in the region. Originally built in the 1960s, Al Bateen had only handled military traffic since Abu Dhabi International Airport, located 20 miles outside the city centre, was opened in 1982, but in June 2009 it was granted new civil airport status. A multi-million dollar plan is underway including an ILS precision approach capability, new hangars and MRO facilities, plus a hotel on site. 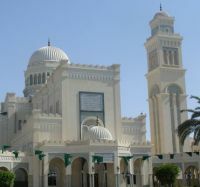 During the first quarter of 2010, Al Bateen experienced a 30% increase in movements. The UAE has overtaken Saudi Arabia with the highest concentration of business jets in the Middle East, hosting 38% of the region’s fleet. The Malaysian-based long haul, budget airline AirAsia X is to introduce a three times weekly service from Kuala Lumpur to Tokyo Haneda on 9 October. This is the 12th destination for the airline after Australia, China, India, Korea, Taiwan and Europe. Flight time is around 6½ hours. The airline is unique in that the premium cabin is in the centre of the aircraft. In this section the flat-bed seats are to standard Business Class specifications of 20" width, 60" pitch with a length of 77" in full recline position. The seats feature universal power sockets, adjustable headrests and built-in personal utilities including a tray table, drink holder, reading light and privacy screen. Departing airline passengers out of Germany will have to pay a new tax on flights booked from 1 January 2011 with immediate effect. The Federal Transport Minister admitted that the announcement was designed to stop travellers taking advantage by booking ahead. 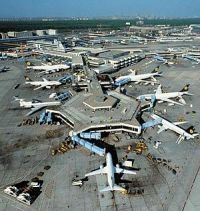 Transit passengers will not be punished (another loss to UK airlines – see last week's COMMENT). The tax is subject to Parliamentary approval. Viking Hellas, will operate weekly throughout the winter from Manchester to the Iraqi cities of Erbil (EBL) and Sulaimaniyah (ISU) via its base in Athens. Using an A320 aircraft the airline will fly every Wednesday from Manchester to Sulamaniyah and every Friday from Manchester to Erbil. 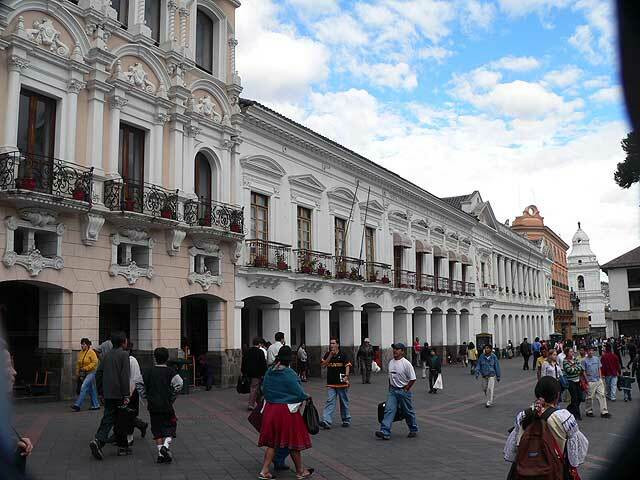 Quito, Ecuador, seems to be quiet after last week's attempted coupe with the international airport working normally. 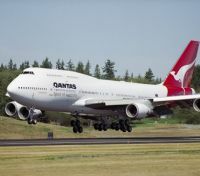 Qantas has gone daily on its Johannesburg to Sydney service operated by a four-class Boeing 747-400. This new schedule complements the airline’s daily codeshare services between Perth and Johannesburg with South African Airways, who also codeshare on the Sydney – Johannesburg routes. The new venture is seeking quality 4-star hotels with 150-400 rooms in major North American cities, such as New York, San Francisco, Miami, Boston and Washington DC. Virgin Hotels will operate either as a third-party manager, partner with ownership or acquire properties directly. It aims to expand to other regions around the world once it is established in North America. About a year ago, when testing an estate version of Mazda’s executive sector Mazda6 in estate car form, I suggested that the model had been kicking at the door of the premium car market. Now, after experiencing the recently upgraded model in 5-door Sport form, I think that Mazda has more than prised that tight fitting door well and truly open, the more aggressive styling clearly having a proven sales attraction for those upwardly mobile executives seeking to break out of the usual pack of continental offerings. This is a very fresh modern car, its new generation range launched at the beginning of 2009 and just this summer subjected to significant across the board improvements, both mechanically to enhance performance, economy and cleaner emissions, and with a better ride and handling, more advanced equipment and an enlarged options menu. There is an extensive but clearly defined choice of no fewer than 22 models with capacity from 1.8-litre up to 2.5 litres and including a choice of three 2.2-litre diesel units. Though pricing has eased up a little with these latest improvements the range remains good value. My test car was the 2.2D Sport powered by the top 178 bhp engine that I found combined the right qualities of performance, driver satisfaction and though, actually a few bhp down on the earlier engine provided better economy, even better refinement and was claimed to have improved performance with a top speed of 135 mph, a brisk 0 to 62 mph (100 kph) acceleration time of 8.7 seconds and a combined consumption figure of a massive 52.3 mpg. The emissions figure is also down by 5 g/km, thus qualifying for Euro 5 status. The previous model rode so well that it is hard to identify any improvement, perhaps a better ability to cope with our deteriorating road surfaces though I suspect there is a more responsive feel through all the control functions that should be appreciated by discerning drivers. That said it is a very easy driver, with a slick acting 6-speed sensibly ratioed manual gearbox with cruise control (as yet a 5-speed automatic unit can only be specified with the petrol engines) and powerfully smooth braking action. The Mazda6 already had a good range of sensible safety equipment including the proximity warning lights in the front pillars that warned about that car in the blind area just as it overtook and now there are smart turn indicators, emergency stop signalling, front and rear parking sensors, Hill Hold Assist and swivelling AFS headlights. Mazda has not gone overboard to create this flagship Sport version, from the outside car spotters would see the Sports grille, special alloy wheels, privacy glass side windows and the BiXenon headlights with cleaning system while inside there are aluminium foot pedals, a Bose 8-speaker sound system, partial leather trim, black out instrument dials with amber/blue illumination and heated front seats. Only omission for a car of this class is satellite navigation. I sat for several minutes in the test car appreciating the comfort behind the steering wheel, the logical interior planning, the quality of the materials involved and the overall build quality which was hard to better. 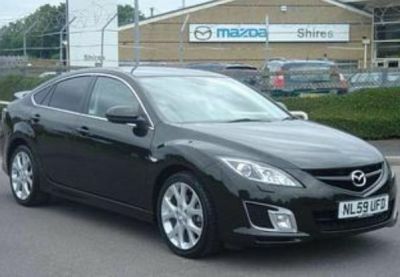 The conclusion is that the Mazda6 has started to develop an identifiable character of the calibre necessary to make it a frequent visitor to the corporate car park. Rivals include: BMW 3 Series, Alfa Romeo 159, Mercedes-Benz C Class, Audi A4, Toyota Avensis. Price: From £22,795 – as tested £23,455. 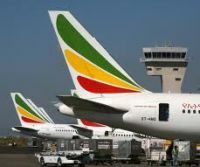 Ethiopian Airlines is to become the third Star Alliance member carrier on the African Continent, joining Egyptair and South African Airways. It will add five new countries (Chad, Congo, Djibouti, Mali and Niger) and 24 African destinations to the Star Alliance Network. 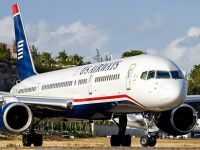 US Airways says that it will expand its international presence at its Charlotte, North Carolina, hub when the airline begins a daily non-stop seasonal summer service between Charlotte Douglas International Airport and Madrid and Dublin in May 2011. Hotel Indigo, the upscale boutique brand of InterContinental Hotels Group (IHG), has announced another 13 new hotels in key cities around the world over the next few years. The new properties are in Asia, Europe and the Americas, starting in Europe with two hotels opening in the spring of 2011 in Glasgow and Liverpool, followed in summer 2011 hotels in Vancouver and New Orleans. Russia’s leading domestic carrier, S7 Airlines, will officially become part of oneworld from 15 November, expanding its network throughout Russia and the rest of the Commonwealth of Independent States (CIS). 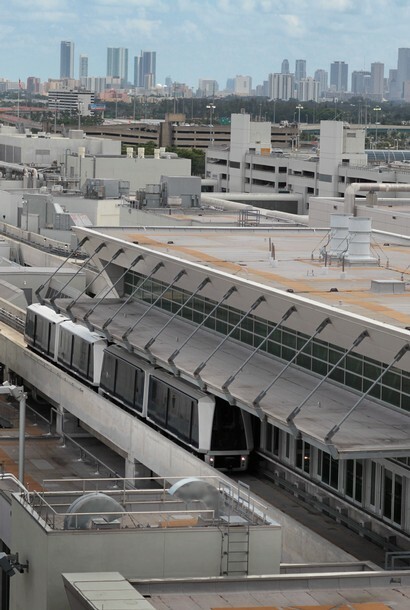 Miami now has a Skytrain on Concourse D at the international airport. The terminal has 60 gates and is a mile in length. It would take you over 20 minutes to walk from end to end. The service runs every three minutes so if you miss a train you will not have to wait long for the next. Also there are stops in the terminal every quarter mile. Each station has separate areas for domestic and international passengers. Each train has four carriages, two for domestic and two for international passengers. The train will carry up to 9,000 passengers an hour and actually runs on the roof of Concourse D.
British Airways has signed a transatlantic tie-up with American Airlines and Iberia that allows the airlines to share passengers and costs on flights between the European Union, Switzerland and Norway and the US, Canada and Mexico. 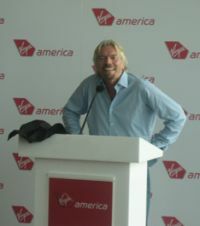 The deal comes in the form of a “revenue share agreement”, which BA says will “provide customers with greater access to discounted fares, more convenient connections and better access to the airlines' global network.” It also says the arrangement would also allow oneworld to “compete on an equal footing” with other airline alliances that have received approval for similar transatlantic ventures. 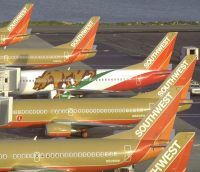 Southwest Airlines is to buy rival airline AirTran Airways for US$1.4bn. Southwest, the prototype for all other low cost carriers, is the largest airline in the world by number of passengers carried per year. AirTran was created in 1997 after a reverse take-over of Valujet, an airline whose name had been tarnished following a fatal crash in the Miami swamps. It’s a booth you can step into that will not X-ray you, but will detonate any explosive device you may be concealing. They see this as a win-win for everyone. No racial profiling and it is fair to all and sundry. It also would eliminate the costs of a long and expensive trial. Justice would be swift. Case closed! You're in the airport terminal and you hear a muffled explosion. Shortly thereafter an announcement comes over the PA system. "Attention standby passengers — we now have a seat available on flight number 123. United Continental Holdings, formerly UAL Corporation, announced on Friday that it had has merged with Continental Airlines, Inc., and that Continental Airlines and United Air Lines, Inc. are now wholly owned subsidiaries of United Continental Holdings, Inc with the common stock of United Continental Holdings, Inc trading on the New York Stock Exchange. 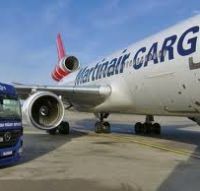 Air France-KLM and Martinair face a claim for up to €500m (£430.8m) from European companies over allegedly fixing the price of air cargo. A law firm representing the claimants estimated that the total damages could exceed that amount once money for the harm suffered since 2000 is taken into account. Claims Funding International (CFI) has served a writ on Air France/KLM for what could be a record cartel damages case. 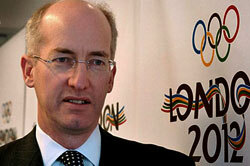 David Higgins, currently Chief Executive of the Olympic Delivery Authority, has been appointed Chief Executive of Network Rail from February 2011. 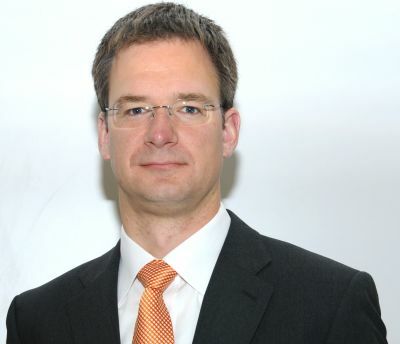 Mr Higgins is currently a Non-Executive Director of Network Rail and will continue in that role until he takes up his new position next year. InterContinental Hotels Group has introduced a door-key pilot scheme at the Holiday Inn & Suites Chicago O'Hare Rosemont and Holiday Inn Express Houston Downtown that may well become the standard for hotels around the world. Guests will have the option to “enrol” for MobileKey via the email sent prior to their check-in date or at the front desk. OpenWays, the company that created the system, uses text messaging (SMS) to securely deliver an encrypted tone to the right user anywhere in the world. 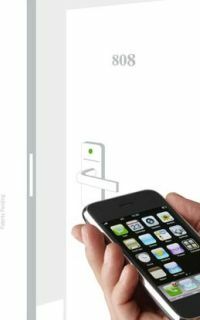 Installation of the technology at hotels involves a simple upgrade to all existing room locks. The solution is compatible with the latest smartphones and every cell phone worldwide as well as all the major electronic-locking systems and access-control systems. It invites each guest via email to "enrol" for the mobile room key service before their check-in date. 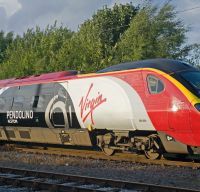 Alstom and Virgin Trains have launched ‘Alstom Pendolino’, a new look for one of the 52 high-speed tilting trains serving the West Coast Main Line. This is in recognition of the successful partnership between the two companies, established in 1999. Alitalia is to fly non-stop from Rome to Rio de Janeiro initially three times a week from next June, and stepping up to four in July. The airline already operates daily to Sao Paulo. A three-class Airbus A330 will operate the service. The airline has also introduced a new long haul baggage policy bringing it into line with most other international airlines. Maximum weight in Economy Class is now 23kg for a single bag whilst Premium Economy customers are allowed two bags. bmi is to launch a daily service from London to Tripoli from 1 December. It introduced a Heathrow – Cairo service just 18 months ago. A thaw in UK/Libyan relations, with added business contacts, is thought to be behind the move. British Airways has operated to the capital Tripoli since 1999. Edwin Brenninkmeyer, CEO of UK-based Oriens Advisors is a busy man. 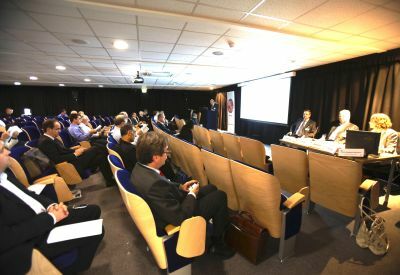 Not only has he held forth as AERBT’s ON THE SOAPBOX luminary for the month of October but he was very much the star of MIU Events’ 4th annual Light Jets Europe conference held at Oxford Airport. Also advocating this new business model was Lars Welender from Ventana Aviation, highlighting that passengers are becoming increasingly frustrated with traditional hub and spoke airline services. 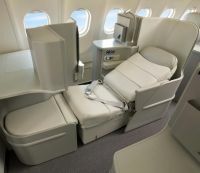 Added to that, Business Class services on short haul routes are increasingly being dumbed down as legacy carriers face increasing competition from the low cost carriers, several of whom such as Vueling and Air Berlin are adapting their product to attract more business clientele. Legacy carriers are being squeezed all round. They want to keep their premium passengers loyal, so this is an interesting offer for them to explore, delegates heard. The new generation of light jets (far less expensive than chartering larger private jets) can complement the LCC/legacy/regional carrier matrix and make a real difference to business travellers’ lives. “One in three marriages ends in divorce,” said Edwin, suggesting that VLJs can play a big part in restoring family life. It was even voiced that Ryanair may like to look at such an idea for their business travellers who regularly arrive at their remote European airports. If they can get in to them that is. For while EBAA advocates the use of secondary airports to further grow business aviation, the restrictive performance of the VLJ is such that many airfields in Europe can’t actually accommodate them, because their runways are too short. For while EBAA advocates the use of secondary airports to further grow business aviation, the restrictive performance of the VLJ is such that many airfields in Europe can’t actually accommodate them, because their runways are too short. Very few of the 2,500 small airports in Europe have the facilities and runway length to accommodate these new light jets, with their limited braking systems. The Cessna Mustang needs at least 4.100ft/1,250 m landing distance if a runway is wet and the Embraer Phenom needs at least 4,750 ft/1,372 m. Airports such as Gloucestershire in the UK, St Tropez La Mole, Egelelsbach (Frankfurt), Tousses (France) all have runways which are too short for VLJs if the wind is in the wrong direction or it's wet. Cannes is also restricted to a certain few light jets. Surprisingly, many larger business jets and regional airliners have better landing performance. 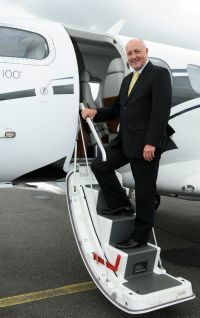 James Dillon-Godfray, Business Development Director at Oxford Airport added that there is no logic in operating these jets (which are charged out at about £1,500 an hour) where the hourly variable operating costs at the premier business airports with no runway restrictions such as Nice and Farnborough are up to £600 in landing fees, or more. While the Light Jet market certainly hasn’t darkened the skies over Europe with several operators falling at the first hurdle, or not even getting off the ground (JetBird, Jet Republic, DayJet, Blikk Air, to name but a few) there was a word of caution from Alex Hendriks, Principal Advisor to Eurocontrol’s Air Traffic Management Director. According to the latest Eurocontrol traffic projections capacity constraints for the anticipated growing numbers of very light jets (VLJs) will be at airports, rather than in the sky. By 2030 Europe’s existing airports could have a capacity shortfall equivalent to around 6,500 flights per day and as many as 50% of all flights could face delays as a consequence. The new generation VLJs can avoid this restriction by ensuring they have performance-based navigation tools, such as Vnav approaches, he suggested. 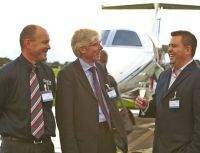 Customer knowledge was another common theme and “knowing your client” is essential remarked David Fletcher, CEO of FlairJet , Europe’s first Phenom 100 charter operator. FlairJet, which has achieved operating profit within its first five months of operation, has demonstrated that a light jet operation can be sustainable as long as costs are carefully monitored, customer networks maximised and personnel skills are utilised to best effect. However, Glen Heavens MD of Synergy Aviation argued that due to operating costs and expected low pricing by clients it remains a perpetual challenge to build a scalable business. Light Jets Europe will take place again next year at Oxford from September 22-23 September. 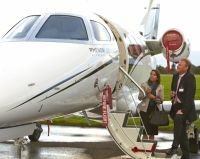 In the Gulf area Al Bateen Airport, which is ramping up its movements, will be the venue for the debut Private Aviation Symposium organised by MIU Events in March 2011.